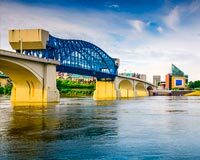 Situated at the intersection of the Cumberland Plateau and the Appalachian Mountains, Chattanooga, Tennessee is known as the “Scenic City” for its beautiful alpine views. Combined with its open business environment and the presence of leading universities, this has given the town a thriving, dynamic economy, attracting businesses from all over the country. ExpeditedFreight.com contributes to this thriving economic environment by providing all such businesses with swift, safe logistics. With our help, no company in the area will have trouble bringing in its supplies or delivering to customers. Ever since Volkswagen announced the construction of a new assembly plant in Chattanooga, the city and its suburbs have been gearing up for logistical challenges. While auto assembly plants create jobs and wealth, they have a tendency to put pressure on local roads and carriers. For both safety and quality reasons, auto companies need all of their parts to arrive in mint condition. Yet those parts cannot be shipped too slowly, lest automakers fail to meet their schedules. Chattanooga’s carriers are thus charged with striking a balance between safety and speed when supplying the Volkswagen plant, all while serving other clients in the area just as effectively. This is no easy task for the standard shipper. Luckily for Chattanooga, ExpeditedFreight.com goes far beyond the performance of the standard shipper. 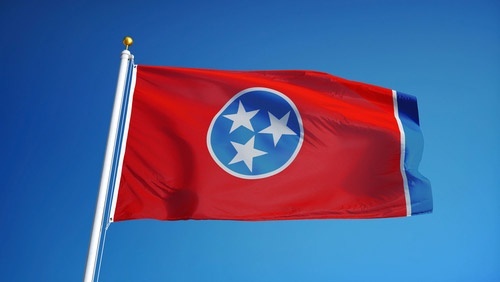 As an expedited shipping company with experience across multiple industries, we supply businesses in Chattanooga, Lynchburg, Murfreesboro, Knoxville, Atlanta, Huntsville and Cleveland. Nationwide Networks - We have coverage and vehicles in major metropolises all over the United States, as well as in most of Canada. This means that we can deliver to Chattanooga from any starting point, dispatching a vehicle within a matter of hours. It also makes it easier for us to ship from the city to destinations across North America. Dedicated Deliveries - ExpeditedFreight.com assigns a vehicle to each express freight order. This leads directly to increased safety, as it helps us load specialized storage devices that preserve and protect your goods. It also speeds up our deliveries by letting us plan the quickest route between your starting point and your destination without having to take other customers’ needs into account. Dual Driving - We assign teams of two drivers to every delivery that requires crossing more than a minimum distance. This further bolsters speed and safety, because one driver can rest while the other works. By sharing the workload equitably, the drivers can keep the truck on the road 24 hours a day without becoming too tired to operate safely. Your order will thus be subject to fewer delays and fewer risks. Tracking Techniques - We monitor each of our trucks from start to finish, making sure they’re on track and guiding them around weather, traffic, and obstacles. Our monitoring equipment has the added benefit of letting you check the truck’s location. Just call our 24/7 customer support line and we’ll tell you exactly where your order is. To learn more or get a free quote, contact ExpeditedFreight.com today at (615) 970-7100.